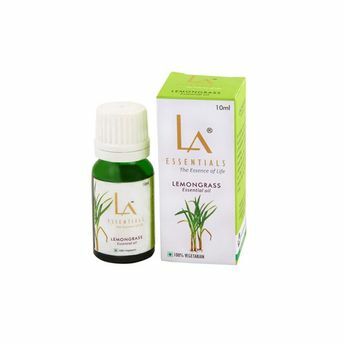 Having a slightly bitter aroma, Lemongrass essential oil has various usages, it is used in soaps and other body care products, as insect repellent as well as in body massage based applications where it is used for treating headaches, indigestion pain, nervousness and rheumatism. Having good aromatherapy properties, Lemongrass Oil is used for clearing oily skin, acne, athlete's foot and other ailments including alleviating excessive perspiration. It also helps with correcting poor blood circulation and as an insect repellant. Further, it is also used to keep pets clean of fleas, ticks & lice. Lemongrass essential oil is used in cosmetics like hair conditioners, lotion, facial water as well as for oily hair & skin. It is also a great insect repellent & attacks fungi by discouraging mold growth. The oil also has antiseptic use and helps in treating skin infections especially ringworm & infected sores. Further, these are also used to treat headaches and used as massage oil for treating rheumatism, indigestion pain and nervousness.